When Miller became chairman and CEO of Fred Meyer, the chain had about 120 stores; it was surviving but had no money left over to invest in the business. He worked for four years, cutting costs, raising capital, and building stores where he could get some growth. His plan worked. He expanded the company by making acquisitions, taking Fred Meyer from $2.5 billion in sales to $15 billion by 1998, at which point it had become the West Coast’s leading supermarket chain. Miller then merged Fred Meyer with Kroger, a shrewd move that enriched his shareholders. He then became vice chairman and chief operating officer for Kroger, agreeing to stay one year. After 13 months, he was approached to become chairman and CEO of Rite Aid. The pharmacy chain was in serious financial trouble and near bankruptcy, but within three and a half years, Miller had engineered a turnaround, returning Rite Aid to profitability. He then turned the CEO position over to his successor and headed the board as chairman for another four years. He also served for two years as chairman of Wild Oats, a supermarket chain that was later bought by Whole Foods. Following that venture, Miller’s career came full circle when he became CEO of Albertson’s LLC—a group of 600 stores that was once part of the larger Albertson’s chain where he had spent more than 30 years of his career. Yet the company was losing money. Miller put together a team, improved operations, streamlined the store base, and returned Albertson’s LLC to profitability. In 1994, Financial World magazine recognized Miller as the CEO of the Year in the retail food category. He has received numerous honors for his philanthropic activities, community service, and business leadership. Miller has been a director of Nordstrom Inc., U.S. Bakery, the Pattison Group, Jo-Ann Fabrics, and City of Hope. He is a recipient of the Ellis Island Medal of Honor. Miller applies the same integrity, humility, and drive to community involvement as he does to his corporate responsibilities. He and his family have raised millions for charities, scholarship funds, schools, and health organizations. In 1999, he established the Robert G. Miller Endowed Scholarship Fund at Portland State University for students in the food industry. 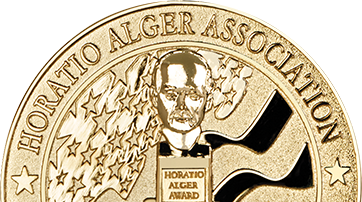 In honor of his membership in the Horatio Alger Association, Miller is funding a Horatio Alger scholarship to Boise State University. An avid supporter of the Children’s Miracle Network, Miller also supports United Way, Janus Youth Programs, March of Dimes, Providence Child Center, and the Orthopedic Research Program at St. Vincent Medical Center.